Do you need the best electronic keypad locks for your commercial property in the Greater Toronto Area? Consider this your lucky day because A1 Locksmith provides you with the most exceptional electronic keypad locks. 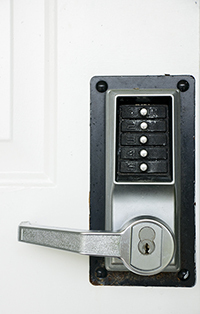 Their locks are functionally sound and extremely effective at maintaining the overall security of your property. Keyless lock entry has never been so easy! Additionally, we are the most reliable locksmith in Toronto, Ontario as we have been in business for nearly three decades now. We started out way back in 1987 so you can rest assured knowing that we’re the best chance you have at maintaining the overall security of your commercial or residential property. So call us today for the most exceptional commercial and residential locksmith services in Canada. Our technicians are available 24/7 and we always have someone awaiting your call so don’t delay. Whether you’re in urgent need or you just was a free estimate, we are there for you. Call us now at 647-557-6403.